Innovation Festival | 300 Entrepreneurs, educational institutes and other stakeholders reflect on how to boast innovation within their region [“De Achterhoek”]. Every year Dutch region “De Achterhoek”, organizes the “Innovation Festival”. The goals is to bring together local entrepreneurs, educational institutes and other stakeholders and exchange views on how to improve collaboration. 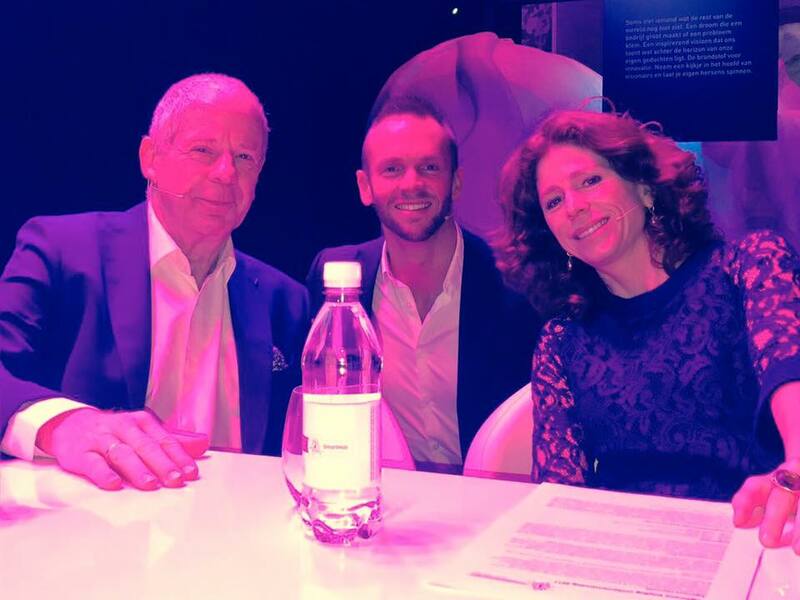 During a one-hour talkshow setting, I was sidekick of former Dutch TV talkshow host Frits Barend and his daughter Barbara Barend. One of the hot items was the disconnect between local companies and educational institutes. Although the atmosphere was relaxt, the audience appreciated me putting forward their feedback. As such we didn’t need to go into individual practices, but more so I could address a broader collective concern. The cooperation between me and the two table hosts was a great ingredient for an informative and lively discussion!